If so, you can email them to: Nuacht@gaelscoilchionntsaile.ie and we will upload them over the coming days. There is no deadline for submitting your pictures - we will upload as and when we receive them to the “Grianghraif / Photos” section. Thank you. PS: Click here to see the photographs already submitted. Thugtar faoi deara na míoltoga gruaige i rang Naí Shínrearacha inné, mar sin féach ar gruaige do pháiste led' thoil agus cuir leigheas air más gá. There were head lice spotted in Senior Infants class yesterday, so please check your children's hair and treat if necessary. Chosain sé €990 an dráma seo a cur ar fáil idir cíos an halla agus costas an mbus. Ba mhaith linn cuid de seo a fháil thar nais más féidir anocht mar sin tabhair go flaithiúlach más féidir le bhur dtola! Between renting the hall and the many bus trips, it cost €990 to put this show on tonight. We are hoping to recoup some of the expenses on the door tonight, so please give generously if you can! Leath lá / Cóisir! / Half day / Party! Beidh leath lá ar an Déardaoin. Críochnóidh na naí-ranganna ag 12.00 agus na hárdranganna ag 12.15. Beidh féasta / cóisir ag gach rang ar an lá. Beidh cead ag na páistí roinnt milseáin agus cluiche a thógaint isteach ar scoil. Níl cead cluichí ríomhairí / DSI's a thógaint isteach ná aon cluiche / bréagán a bheadh ró-luachmhar mar ní féidir a bheith cinnte nach mbrisfaí iad! Níl cead guma cogainte nó deochanna spraoi ar scoil. There will be a half day on Thursday. The Infant classes will finish at 12.00 and the older classes will finish at 12.15. Every class will have a party on the day. The children will have permission to bring some sweets and games in to school. Computer games / DSI's or any expensive games/toys are not allowed because its likely that they would get broken! Chewing gum and fizzy drinks are not allowed at school. Feilíre 2012 - Get your Gaelscoil Chionn tSaile School Calendar before the Christmas Holidays!!! Parents Christmas Night out, Daltons Bar, 9pm Friday 16th December. The Gaelscoil Aonach na Nollag will take place this Sunday 11th December from 3-6pm in the White Lady Hotel. PS: Volunteers are still needed. Click here and here for more details on how you can help. We decided to do something new this year and are hosting a festive fundraiser and social event! 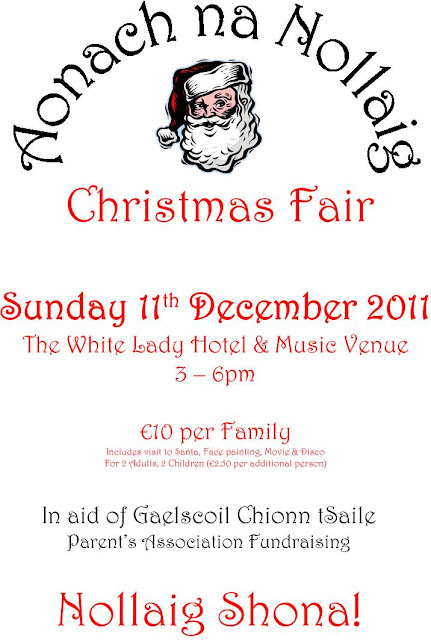 Aonach Na Nollaig will take place on Sunday 11thDecember in the White Lady from 3 – 6pm. The entry fee is a very reasonable €10 Euro per family including 2 adults and 2 kids (€2.50 for each extra person) - this covers entry, Santa visit, face painting, movies and a disco. Santa arrives at 3.30 - please bring your own cameras for a photo with Santa. 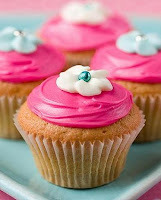 There will be cakes and goodies for sale on the day, as well as festive treats and decorations. See you there! We need 3 people to volunteer as security guards at the Aonach, mainly to stop children/toddlers escaping from the White Lady. Please let caoimhe.kiely@gmail.com know if you are available to help. The School Calendar is now available. The price is €10 and all profits will benefit the school and your child! Each month includes a photo of the children & teachers who have a birthday that month. Pop in to the Office to see it. Maybe buy extras for Nana & Granddad, God Parents, Aunts & Uncles? Fé mar is eol daoibh, tá drámaí na Nollag á chleachtadh againn sa scoil faoi láthair. Ní dhéanfaidh Rang a dó dráma de ghnáth ach toisc dáileadh na ranganna i mbliana thug na múinteoirí rogha dóibh páirteanna éagsúla a ghlacadh sa seó idir drámaíocht, ullmhúcháin agus bainistíocht stáitse. Mar sin tá fáilte rómhaibh go léir teacht agus sásamh a bhaint as an oíche linn. Is suas chughaibh fhéin go hiomlán atá sé. Beidh Rang na Naí Shínsearacha & Rang 2 iomlán ag dul go dtí ionad na Seanóirí Haven Bay ar an Aoine, an 16ú Nollag chun carúil na Nollag a canadh. As you know, we are practicing the Christmas plays at school at the moment. 2nd class won't normally have a play but because of the split class this year the teachers gave them the choice of participating in the show by acting, preparing or stage management. So you are all welcome to come and enjoy the night with us. It's totally up to yourselves. The Senior Infants and all 2nd Class will be going to Haven Bay Retirement Home to sing Christmas Carols for them. Beidh 'Dress Rehearsal' ag rang Sinéad, Siobhán agus Michelle amárach. Déan cinnte de go bhfuil éadaí ag do leanbh. Sinéad, Siobhán and Michelle's classes will have a Dress Rehearsal tomorrow. Make sure that your child has his/her costume. Fé mar is eol daoibh, tá Seó na Nollag ar siúl ar an 21ú Nollag i Halla Phobail Béal Átha an Spidéal. Tosnófar le seó Sóisearacha ag a 6 ar an spota. Is féidir leis na leanaí teacht ag a 5.30. Beidh ar na naíonáin agus a dtuismitheoirí fágaint tar éis an seó chun spás a dhéanamh don seó sínsireacha. Beidh an seó seo ag tosnú ag a 7.15, mar sin is féidir leis na leanaí teacht ag a 7.00. Ba chóir go mbeadh an seó sínsir críochnaithe roimh a 9. Go raibh míle maith agaibh as an gcomh oibriú. Ní bheidh Naí Shíns ag glacadh páirt I ndráma na Nollag i mbliana mar sin ní ghá do na tuismitheoirí san freastal ar an ndráma. As you know, the Christmas show is on the 21st December in Ballinspittle Community Centre. The Junior Infants show will start at 6 on the spot. The children can come at 5.30. All the Junior Infants and their parents will be leaving after this show to make space for the Senior classes. This show will be starting at 7.15, so the children can come at 7pm. The Senior show should be finished around 9. Thank you very much for your cooperation. The Senior Infants won't be taking part in the Christmas play this year so their parents need not go. Parents are organising a Christmas night out for all Parents. Friday 16th of December, in Daltons Bar at 9pm. Cuireadh ar an eolas sinn go raibh cás míoltóga ghruaige sa scoil. Scrúdaigh gruaig do pháiste anocht agus cuir an leigheas cuí air más gá. Go raibh míle maith agaibh! We have been informed of a case of headlice in the school. Please check your child's hair tonight and treat it if necessary. Thanking you all in advance! We are having a Cake Sale at the Christmas Fair on the 11that the White Lady and we need your help!!! 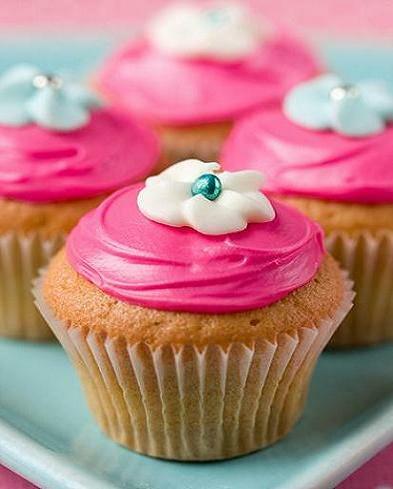 We need cup cakes, bite-sized treats, brownies, sponge cakes, chocolate treats, chocolate cake, brown bread, scones - any cakes really, if you can bake something we want it!! Please drop any baked goods to the White Lady between 12 and 3pm on Sunday the 11th. A survey this week reveals that the average Irish family will spend € 943 euro on Christmas this year ! Many of the families Team Hope works with live on less than €1 euro a day ! People who really have very little in this world need our help all year around. Could you help them this Christmas ? Either yourself or as a family, you could really help someone this year Just click here to view the Team Hope ‘Make A Difference’ gift catalogue with gifts ranging from € 10 euro to € 350 Wishing you a very happy and peaceful Christmas. There will be a meeting on Monday the 5th of December at 830 at the White Lady to discuss the Aonach na Nollaig. There is still lots of volunteers needed!